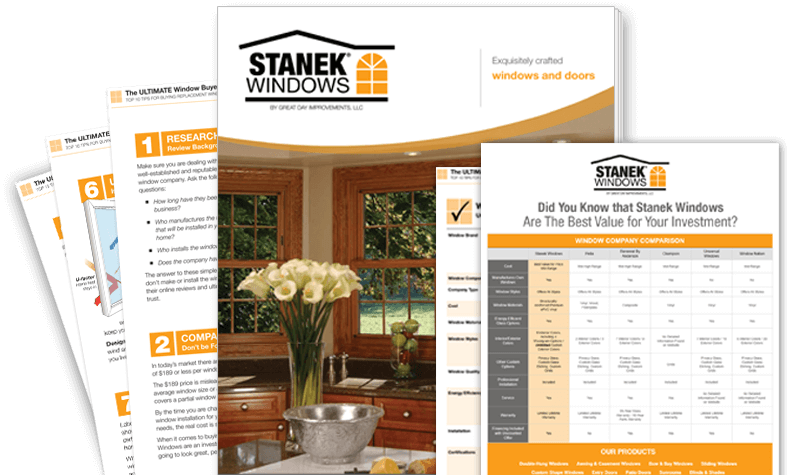 Stanek decorative windows, also referred to as picture windows, are available in a variety of geometric shapes and sizes. 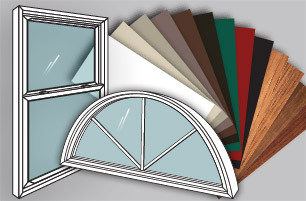 Create a custom look ideal for your home with our 25 specialty window shapes. 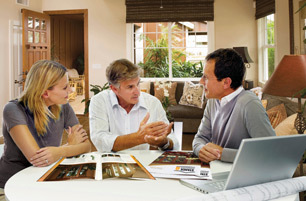 Our wide range of interior colors and unlimited exterior colors allow you to express the individuality of you and your home. 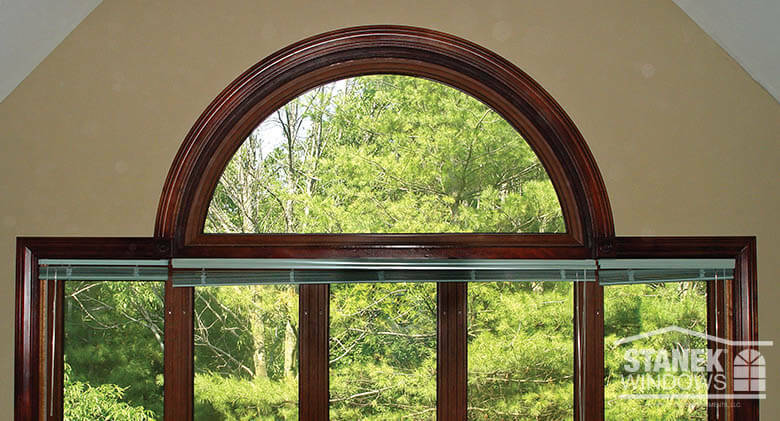 Custom Shape Window Custom circle window along with a half circle window above a casement. Interior woodgrain finish on all windows. 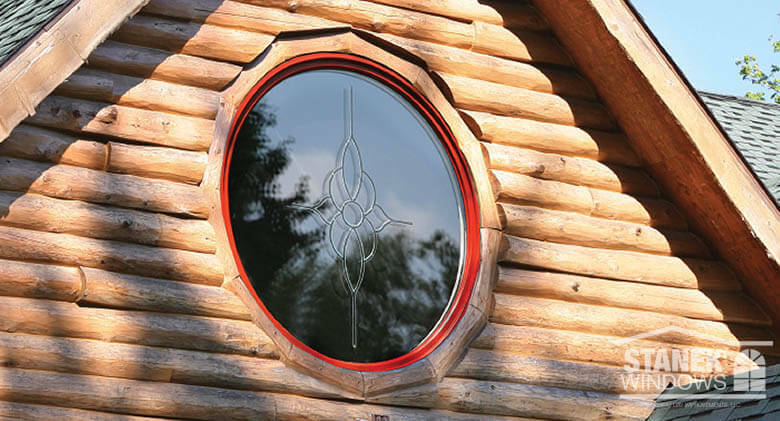 Custom Shape Window Circular custom window in redwood exterior color with a Tudor custom groove glass etching. Custom Shape Window White circle window with a unique, custom grid. 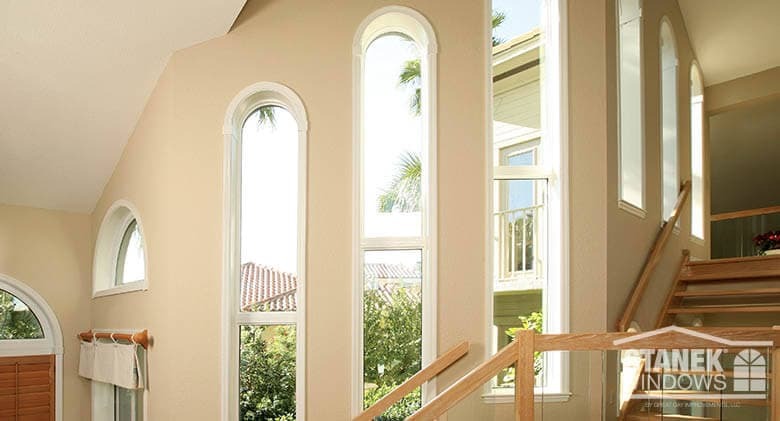 Custom Shape Window White custom-shaped windows complement a dramatic staircase. 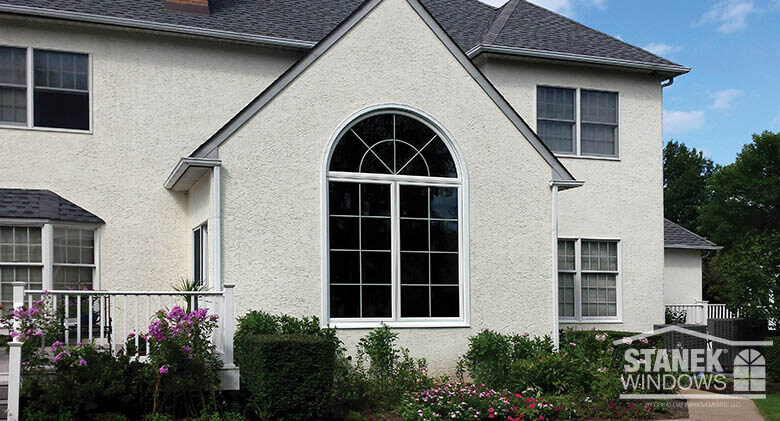 Custom Shape Window Custom shapes, fixed and double-hung windows with colonial grids. 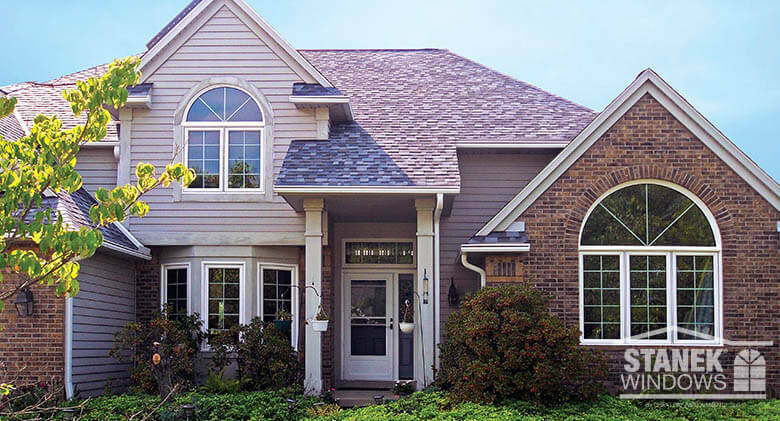 Beige exterior color. 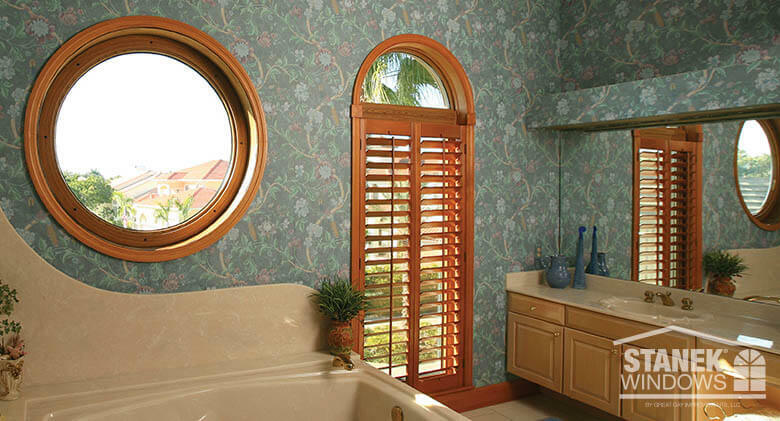 Custom Shape Window An octagonal custom window features a Florentine shadow custom groove glass etching. 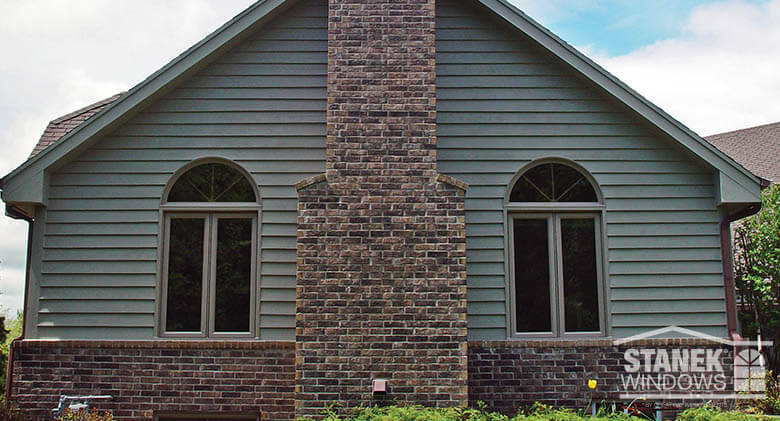 Custom Shape Window Trapezoid-shaped custom window in clay exterior color adds drama to a home’s entry door. 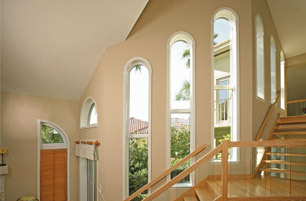 Custom Shape Window Half-circle window above three-lite casement windows become a focal point in this kitchen. 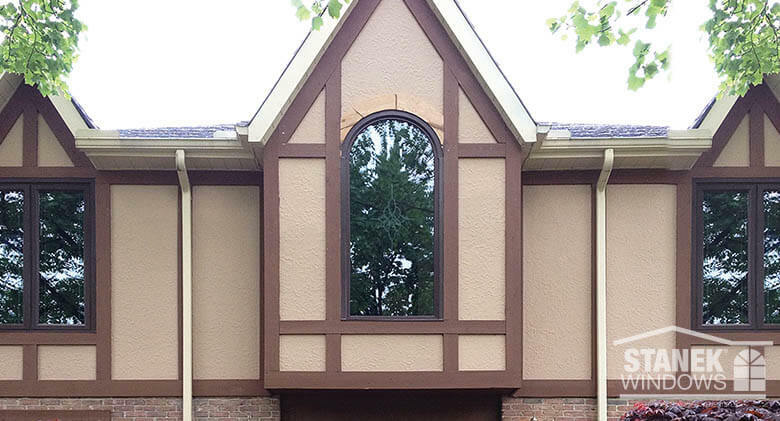 Custom Shape Window Custom-shaped eyebrow window perfectly suits this Tudor-style home. 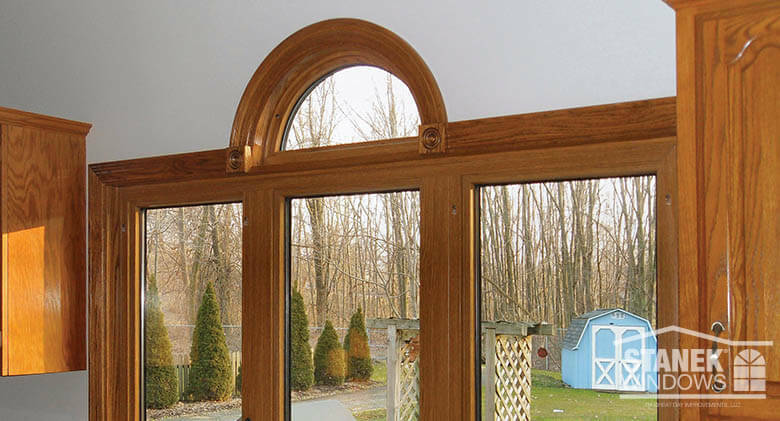 Custom Shape Window Dress up casement windows with a half-circle above. 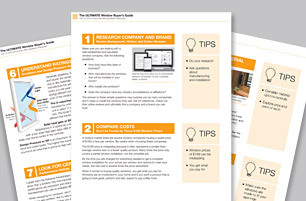 Shown with internal custom grid. 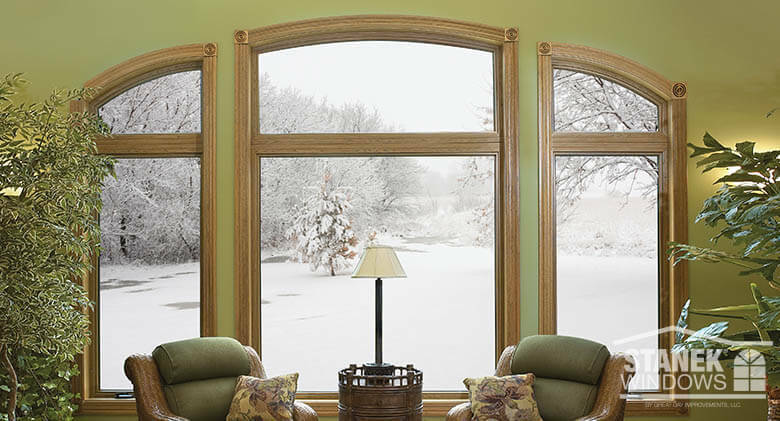 Custom Shape Window A focal point inside and out! 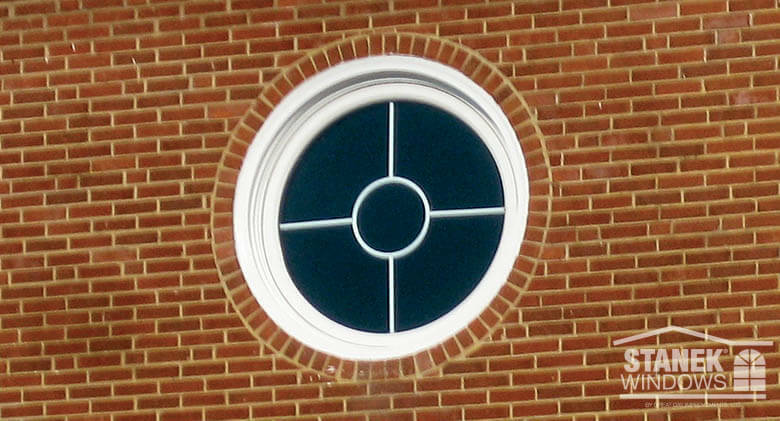 Two-lite casement with half-circle above, all with colonial grids. 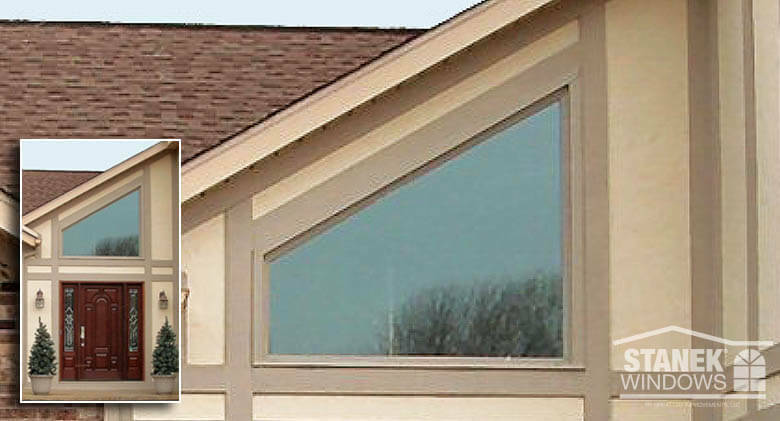 Custom Shape Window Custom-shaped eyebrows, casements and a fixed window become a “frame” for outside scenery. 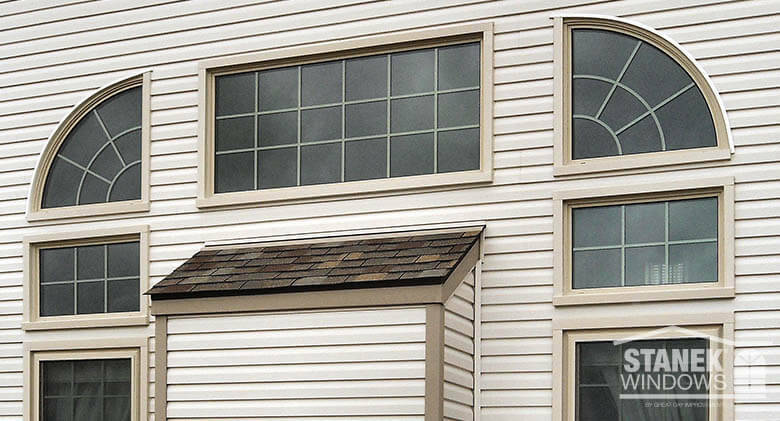 Custom Shape Window Custom and colonial internal grids dress up casement and half circle windows. 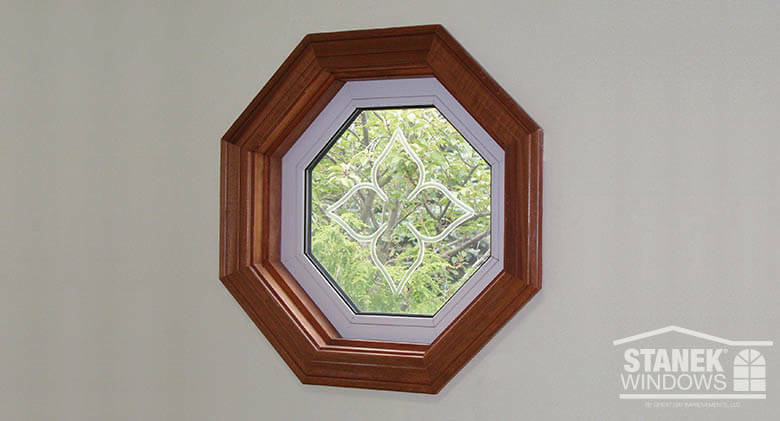 Custom Shape Window Half-circle window above five-lite casement, all in cherry interior woodgrain finish. 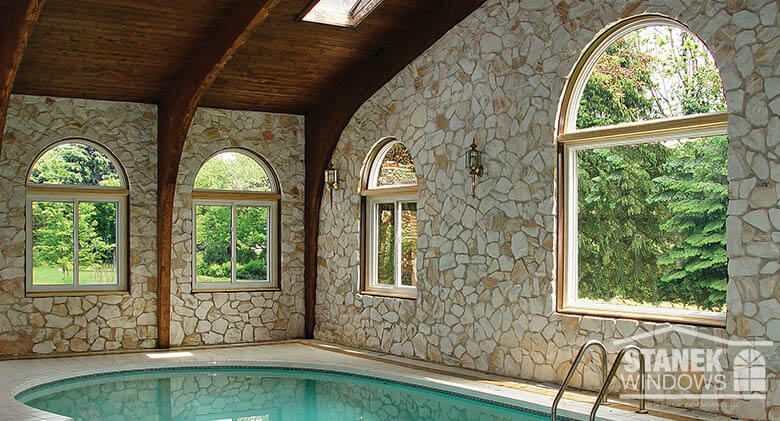 Custom Shape Window Half-circle and sliding windows allow expansive views of the outdoors from this indoor pool room.